AC line reactors for AC variable frequency drives (VFDs) and DC SCR drives up to 3000A, 400-690V, 50Hz or 60Hz are available, often on short deliveries. These devices protect the drive front end rectifiers from mains borne disturbances and also reduce both the harmonic current drawn by the drives and in the case of DC SCR drives, attenuate the line notching often preventing repetitive voltage spikes which disrupt and/or damage capacitor based equipment such as switched mode power supplies and small VFDs. 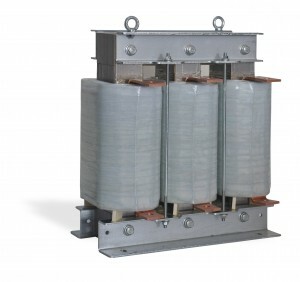 The installation of these reactors is crucial if active harmonic filters are to be used for harmonic mitigation, especially with AC VFDs or DC SCR drives. A standard range of AC line reactors is available ex stock.